The way I see it, most everything is improved with a little typography. Bicycle paths included. The Bikeway Belém in Lisbon is a prime example. 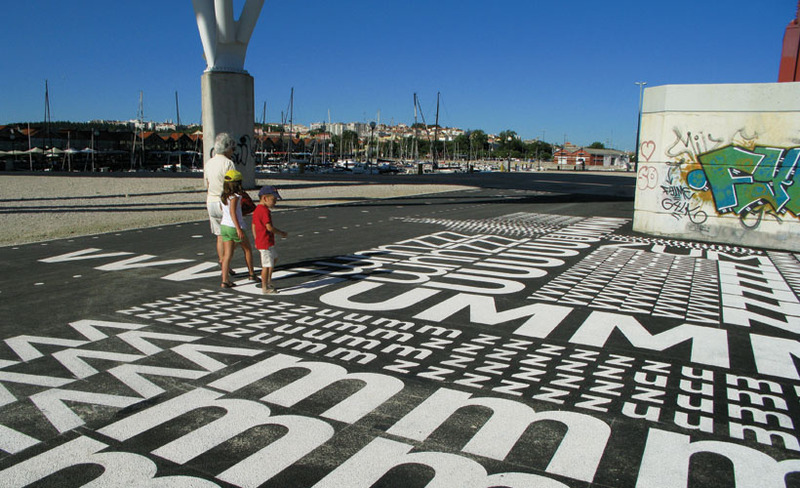 The 7,362-meter bike route along the river Tagus has bold white wayfinding text and symbols painted directly on the pavement which, apart from its practical purposes such as providing direction and measuring distances, is also fun and engaging. There are some ‘zuuuums’ and ‘vuuuums’ printed around as well as arrows and questionmarks that always look good. In addition, along one of the piers, there’s a verse by Portuguese poet Alberto Caeiro about the river Tagus. 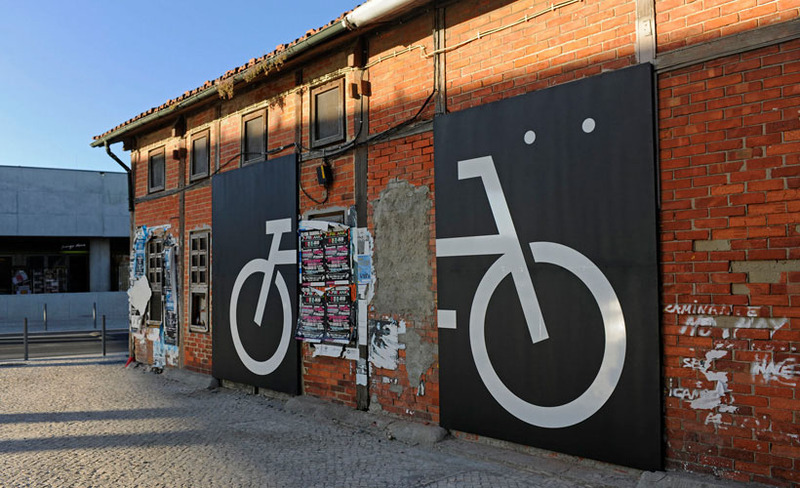 The project was a collaboration between the Lisbon-based communication and environmental graphics studio P-06 Atelier (previously here) and Global Landscape Architects. As much as I love the Hudson River bike path, I think a project like this would only enhance it even more. Photos courtesy P-06 Atelier and Decorating the Duck. This entry was posted in Architecture, Fun, Graphic Design, Street Art, Stuff We Like, Typography. Bookmark the permalink.